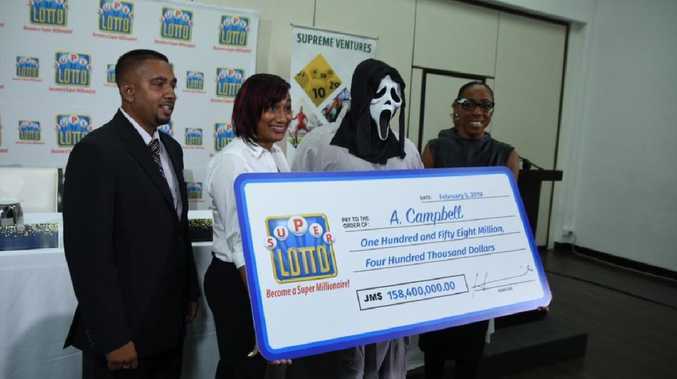 The winner, known only as "A Campbell", won the Caribbean island nation's Super Lotto in November, after paying just $AU2 for a ticket. 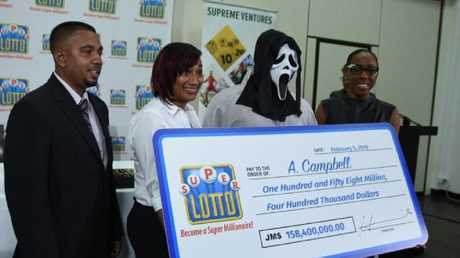 But instead of being elated by the life-changing win, Mr Campbell instead felt "sick" with worry, taking a stunning 54 days to come forward. 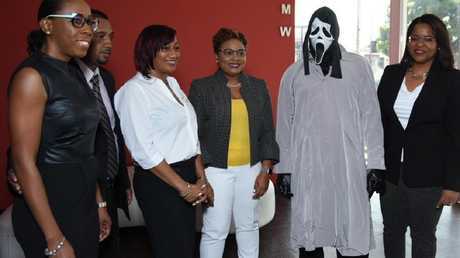 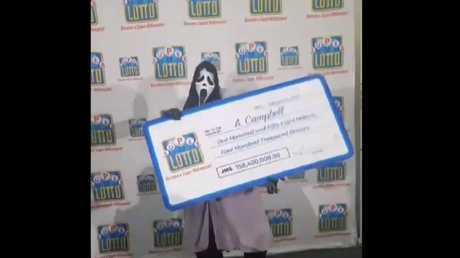 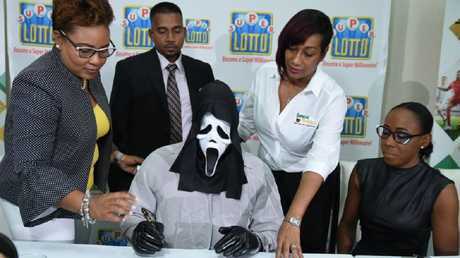 And when he did show up to claim his prize at the lottery offices in capital city Kingston earlier this month, he did so wearing an unlikely disguise - that of the "Ghostface" serial killer character from the '90s horror franchise Scream.